Mercedes-Benz's re-engineered S-class convertible, as well as the coupe, will go on sale in Canada and the U.S. in the first half of '18. The Mercedes-Benz S-class coupe and convertible next year will get most of the changes coming to the re-engineered S-class sedan this fall, but the two-door S-class variants will not have a V-6 option, Mercedes-Benz Canada says. As with the sedan, the 2018 S-class coupe and convertible receive new engines, technology updates and exterior and interior styling changes. One of the biggest: The S550 model of the coupe and convertible will get a new smaller but more powerful V-8 engine and be renamed S560. The 4.0-litre, twin-turbo V-8 in those models produces 463 hp. Unlike the sedan, the S-class coupe and convertible will stick with the S560 as the base model in Canada and the United States. Mercedes will not add a V-6-powered model to the coupe and convertible lines, as it did with the sedan in the new S450. 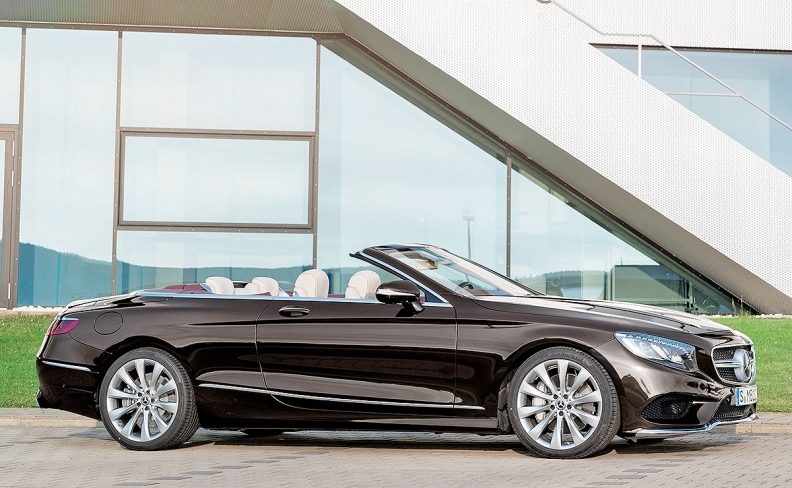 The re-engineered S-class coupe and convertible are debuting at the Frankfurt auto show, which runs Sept. 14-24. They go on sale in Canada and the United States in the first half of 2018 with a short 2018 model-year run. The 2019 models are expected to arrive by late summer or early fall of next year. Pricing has not been announced. The Mercedes-AMG S63 coupe and convertible move to a handcrafted 4.0-litre, twin-turbo V-8 producing 603 hp. The new engine includes cylinder deactivation and has smaller displacement but higher output than the outgoing engine. The Mercedes-AMG S65 coupe and convertible will continue to be offered with a handcrafted 6.0-litre, twin-turbo V-12 engine producing 621 hp. The AMG models will have the new AMG Panamericana grille design, the new face of "purebred" AMGs. Other key highlights for the re-engineered models include advanced driver assistance systems, new steering wheels with touch control buttons and the new widescreen instrument panel display seen in the re-engineered S-class sedan and the redesigned E class.